We invite you to check out one of our Smart Loss Seminars to learn all about Carb-Cycling! The basic idea is that you alternate between high-carb days and low-carb days in order to rev up your metabolism. You will get a link to some great software which will help you plan your meals and incorporates recipes like the one below! Mix seasonings together in large zip-top bag. Add chicken breasts to the bag, seal and gently massage around until all chicken is well coated with seasoning. Heat pan over medium heat; add butter and olive oil to pan. Once butter is melted, add chicken and cook on both sides until done. Remove from pan and keep warm by lightly covering with foil. 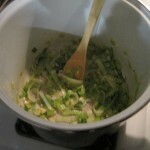 To skillet, add lime juice and broth. Using a whisk, mix liquids to get browned bits off pan bottom and sides. 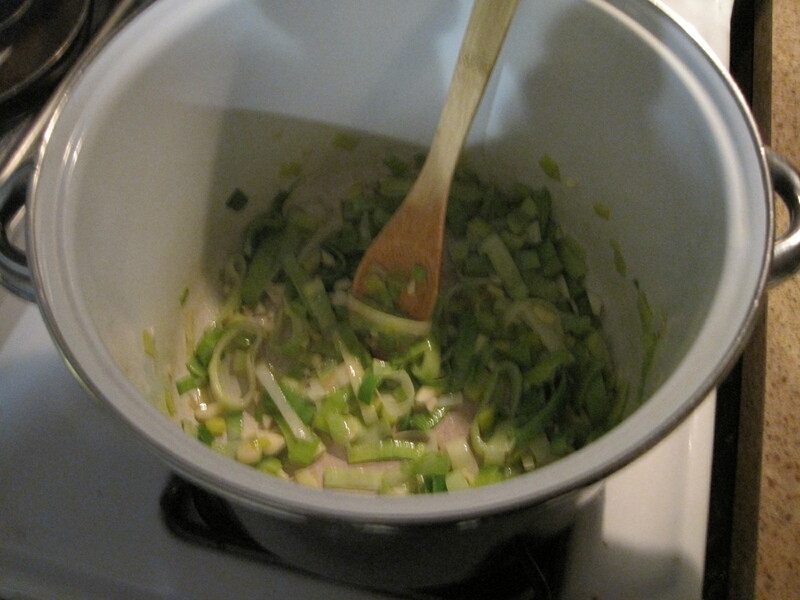 Continue cooking until sauce has slightly thickened. Add chicken back to the pan, coating with the sauce. Serve with a side of asparagus. If it’s a High Carb Day for you or you have family members who are NOT eating low carb: Serve over steamed brown rice (remember a serving is the size of your fist). 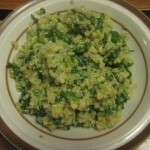 This is a great side dish featuring quinoa, one of the many Smart Carbs listed on the Vemma Bod-e Trainer Smart Food Guide. 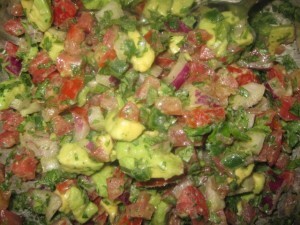 Those of you following the Carb-Cycling plan will want to make this on a high carb day. Remember the serving size for a Smart Carb is about the size of your fist. If you are interested in finding out more about carb-cycling please ask us, or register for a Smart Loss Seminar. Pretty easy…totally ready in 30 minutes. Serve with your choice of lean protein approximately the size and thickness of your palm! Sometimes it’s nice to simplify something already simple. Too many ingredients and preparation equals a big mess. With many of our clients trying out our Smart Loss Seminars and learning how to cycle their carbohydrates to break weight loss plateaus, we decided that it was time to simplify our already simple Salmon Patties. Drain any juice out of the pouch of Salmon and place into the bowl with the egg and all spices. Mix up with a fork until you have a mixture that is Pattie-worthy. Form into a pattie about the size of your hand. 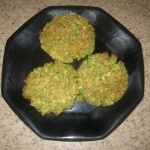 Some will be able to form into patties and arrange onto a pre-heated, canola or olive oil sprayed pan. Brown on both sides. 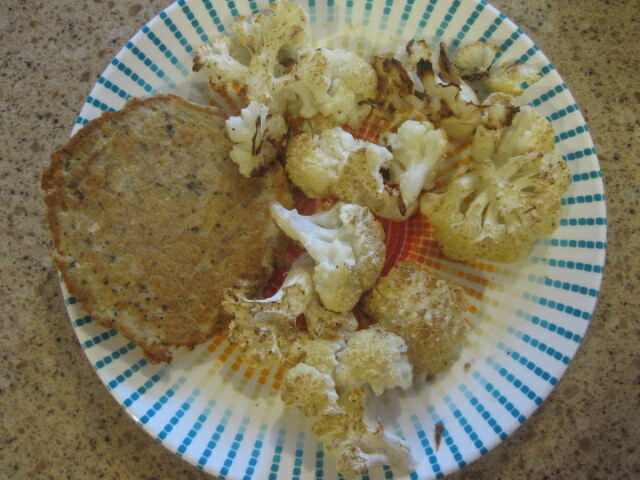 The photo shows our favorite way to make Cauliflower: Roasted! (posted back in March 2012) Easy smeezy. 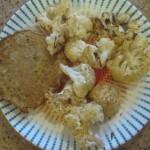 Slice a rinsed head of Cauliflower and slice it into 3/4″ slices. It will crumble up a bit, but who cares? Arrange the slices and pieces of cauliflower onto a cooking sprayed jelly roll pan (cookie sheet with low lip) and season with your favorite seasonings. We like to flavor with Celery Salt and Pepper but you can season it with darn near everything. 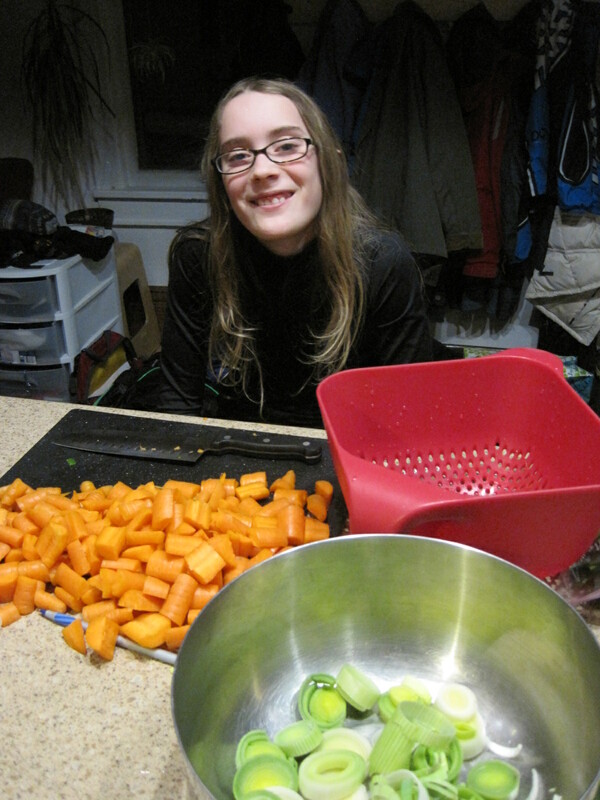 All you do then is pop it in the oven at 375′ and cook until a bit browned. Serve and be praised! 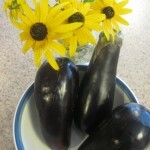 eggplant recipes, baba ghanouj (pronounced ga-new), but one of my clients always talks about how good his eggplant Parmesan is, so I made that instead. 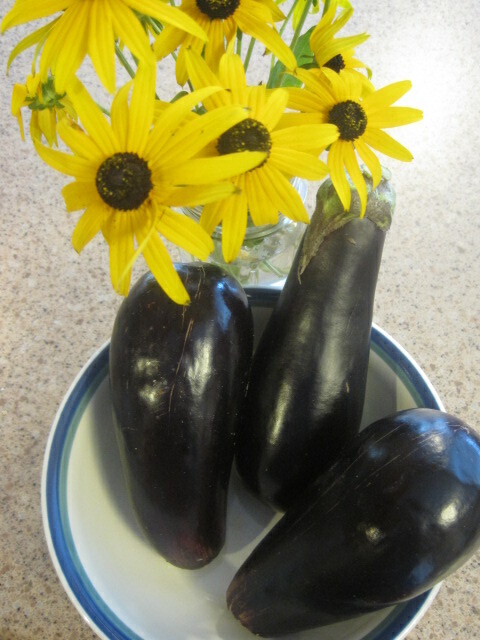 The eggplant is baked instead of fried, but it is still breaded which admittedly reduces its diet-worthiness. (My recipe for grill-cooked baba ghanouj is at the bottom of this post). My client Jim E. says the secret to his Eggplant Parmesan is to remove as much water from the eggplant as possible ahead of time. He does this by slicing the eggplant into 1/4 inch thick discs, lightly salting them and placing them in a single layer between two kitchen towels for at least 30 minutes. Preheat your oven to 400′ and cooking spray two cookie sheets (or ‘grease’ with olive oil). get so disgusting that you decide to throw it all out and go out for dinner (only to remember you left the oven on ;-). Put the eggplant in the oven for 10 minutes. 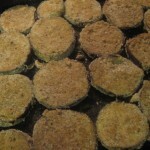 Pull it out, flip the eggplant slices and bake again for 10 minutes. 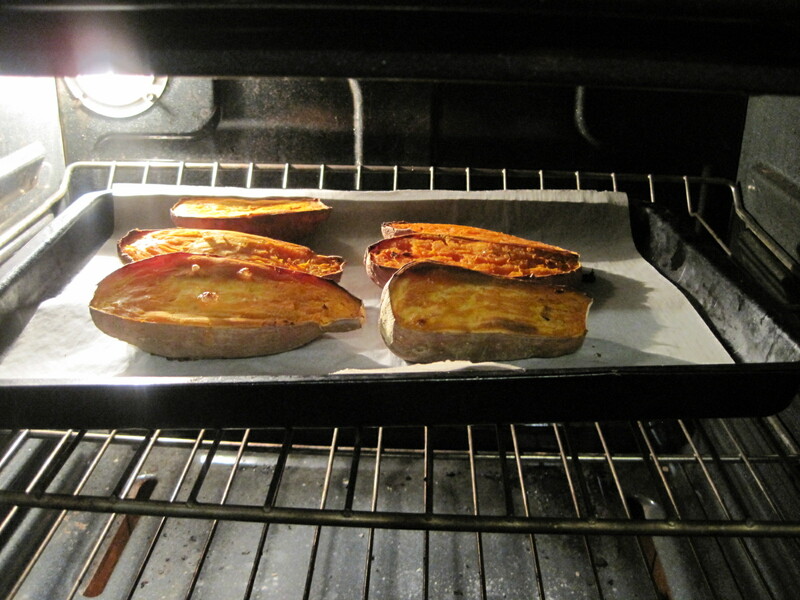 Remove the eggplant from the oven and TURN THE OVEN DOWN to 350′. 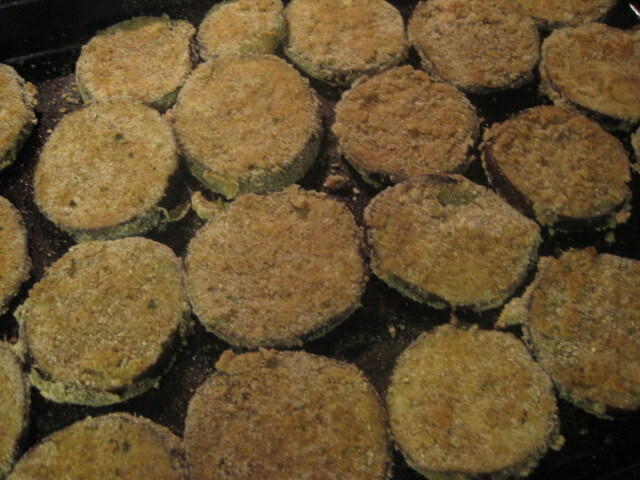 Next, put the browned eggplant into a greased 9×13 pan, layer in an overlapped fashion as needed to fit it all in. 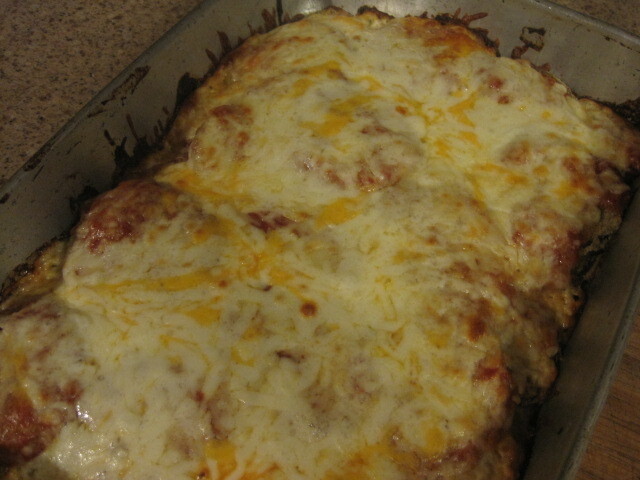 Pour the two cups of marinara sauce on top and then sprinkle on the Parmesan cheese. Cover with aluminum foil and bake for 15 minutes. 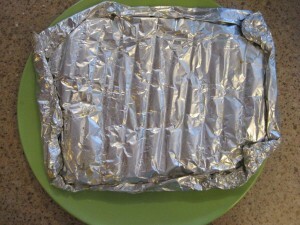 Remove your eggplant from the oven and remove the aluminum foil. (You can add the mozzarella now if desired). 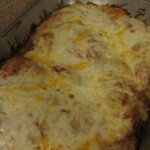 Put it back in the oven and bake uncovered about 10 – 15 minutes until the cheese looks bubbly or slightly browned. We recommend serving with extra marinara sauce and a gorgeous salad. delicious at first glance, but the calorie count was way too impressive: a serving had a whopping 600 calories. 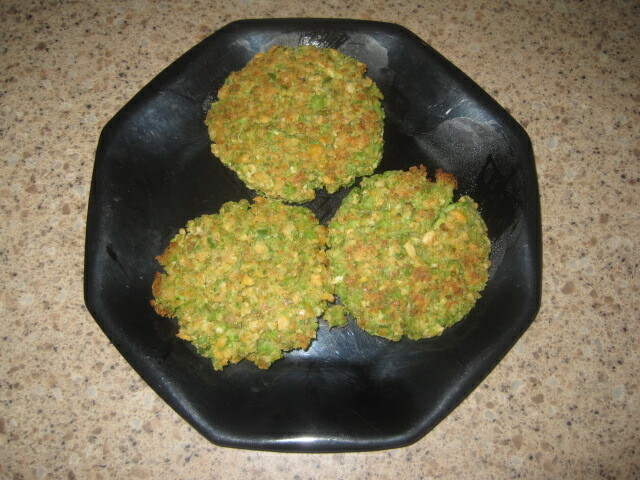 Falafel is traditionally fried and in my opinion, despite dripping in oil, usually tastes dry anyway. Here is my variation that drops the calories to only 240 per serving by baking them instead of deep frying them and serves them with my new favorite low calorie sauces. 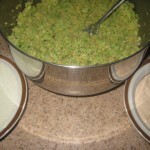 2 cups shelled edamame, frozen. 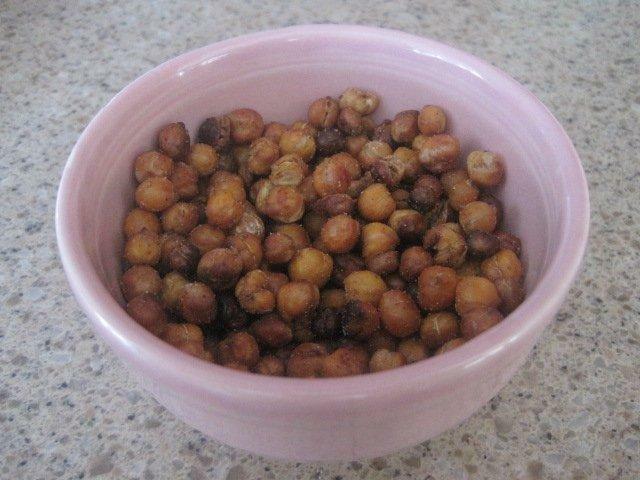 Method: Put the chickpeas in water and leave overnight. 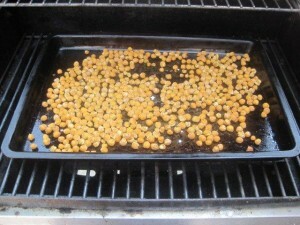 They should double in volume, leaving you with 2 cups uncooked chickpeas. 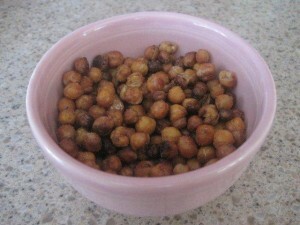 To hurry this process up, you can boil the chickpeas in the microwave and allow to sit for 2-4 hours. Drain. 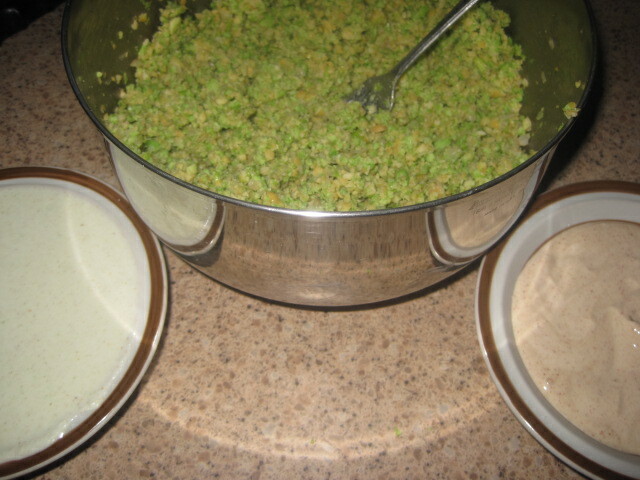 Use a food processor or a blender to mince chickpeas and edamame to a coarse mixture that sticks together when squeezed. Thoroughly mix or blend in cumin and salt. 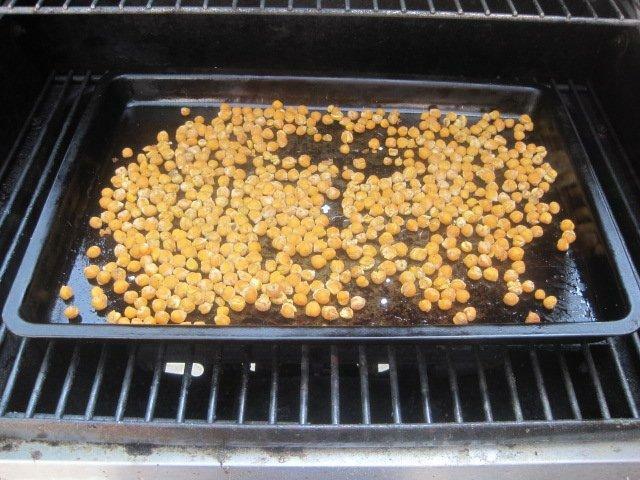 Form in to patties and place on a greased cookie sheet. I like to use an ice-cream scoop for this. 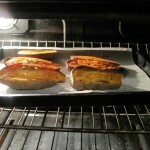 Pop in the oven at 375′ until bottom side is browned, flip, and brown the other side. 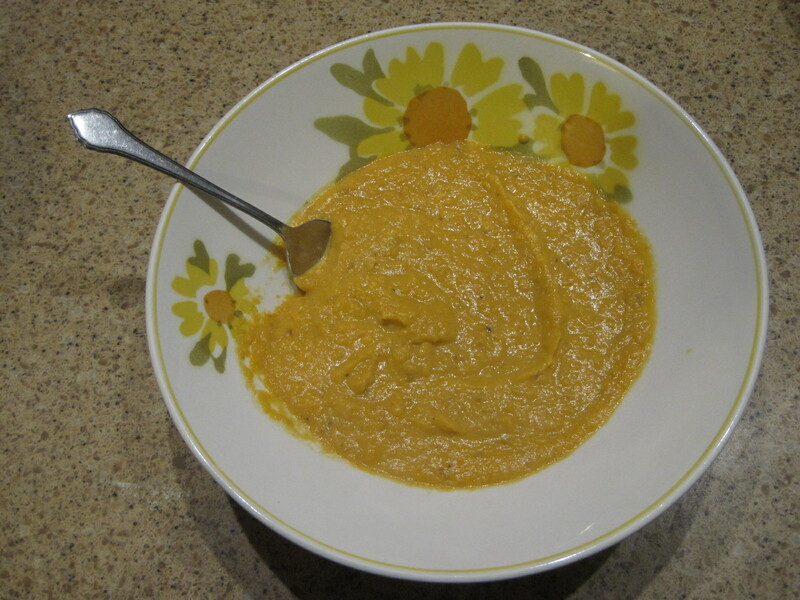 Chipotle-Cumin ‘Greek God’ dressing: (6oz plain, nonfat greek yogurt with 1 to 1 1/2 teaspoons of cumin, 1/2 teaspoon of salt and 1/2 teaspoon of ground chipotle blended together). This ‘sauce’ has no fat, 18 grams of protein and only 100 calories PER CUP!!! or 7 calories per Tablespoon. Compare that to cumin-chipotle mayonaise which weighs in with 12g fat and 110 calories per Tablespoon (or 192 grams fat and roughly 1760 calories per cup). 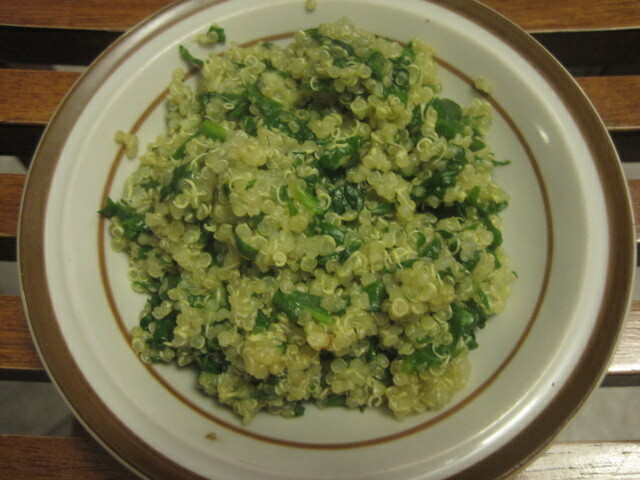 Coriander Tatziki (speedy version): Peel and cut a cucumber in half lengthwise. Scoop out the seeds and toss into a blender with a 6 oz container of plain, nonfat greek yogurt. Add 1 teaspoon of ground coriander and 1/2 teaspoon of salt. Blend well. 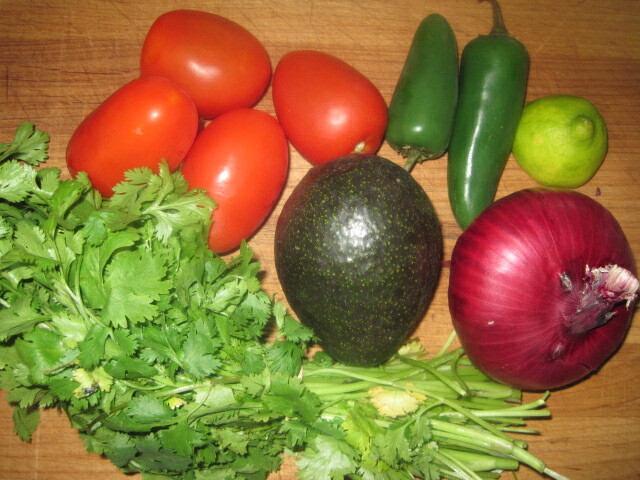 Options: Blend in fresh dill or add 1 teaspoon of garlic-ginger paste (available at Indian grocery stores). 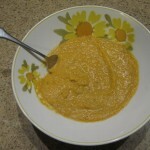 Another healthy sauce is to add a bit of water to store-bought hummus and to use as a dip. This is really a good idea if you think about all the flavors now available. www.epicurious.com. If you haven’t checked epicurious out, you can type in a main ingredient and come up with a list of recipes that incorporate your searched ingredient along with excellent reviews and ratings. It is an un-abashedly flavor first, damn the calories website, so it is wise to be calorie wary when surfing their delicious recipes. It’s time to pull out the grill when it’s over 90’F outside with 100% humidity(and the air conditioner seems to be running non-stop just to keep the house below 80!). 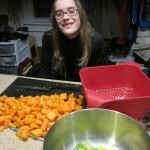 This week our Friday Foodie’s are Karin and her father Paul. Karin for her cauliflower recipe recently posted here, and Paul for his seasoning recipe that he found for Spicy Grilled Fish. 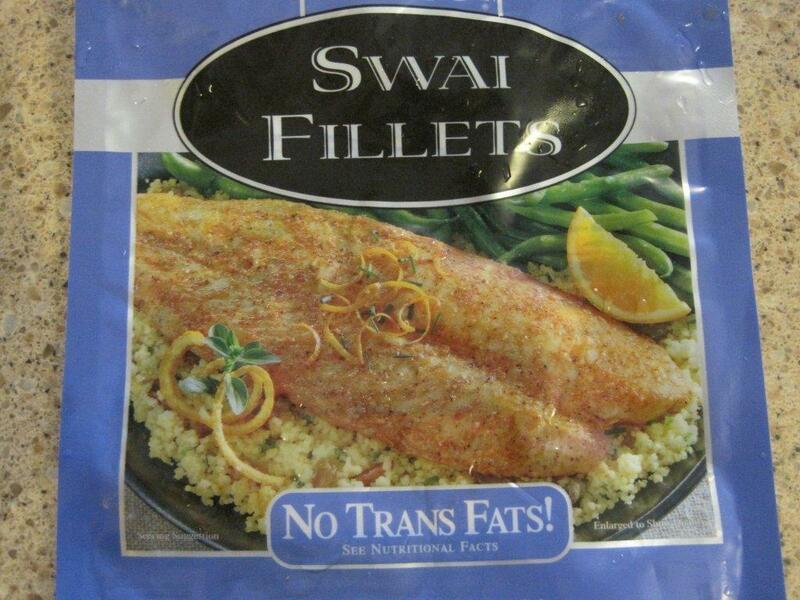 His recipe calls for Red Snapper or Orange Roughy Fillets, but I found something in the Fish Freezer called Swai. So I bought it, brought it home, and then looked up online what the heck it was and how to cook it. According to Wikipedia, Swai is actually an omnivorous freshwater fish found in Thailand’s Mekong River. It is really an “Iridescent Shark Catfish” but apparently due to international concerns regarding shark products, it was renamed Swai. That said, Swai is a mild white fish that has a soft texture and could easily be blackened like Catfish. I used Paul’s seasoning blend sparingly (although I love it hot! 1/4 t each of dried oregano, basil & thyme. Method: Defrost and pat excess water off of fish fillets. Rub the fillets with olive oil and then sprinkle both sides with the seasoning blend. (Go light for those who don’t like it hot!) Spray the Grill with cooking spray BEFORE lighting it. 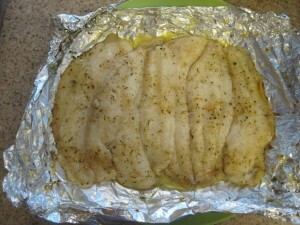 Grill fillets, covered, for 3-4 minutes per side or until fish flakes with a fork. Now, that’s what I was told to do. 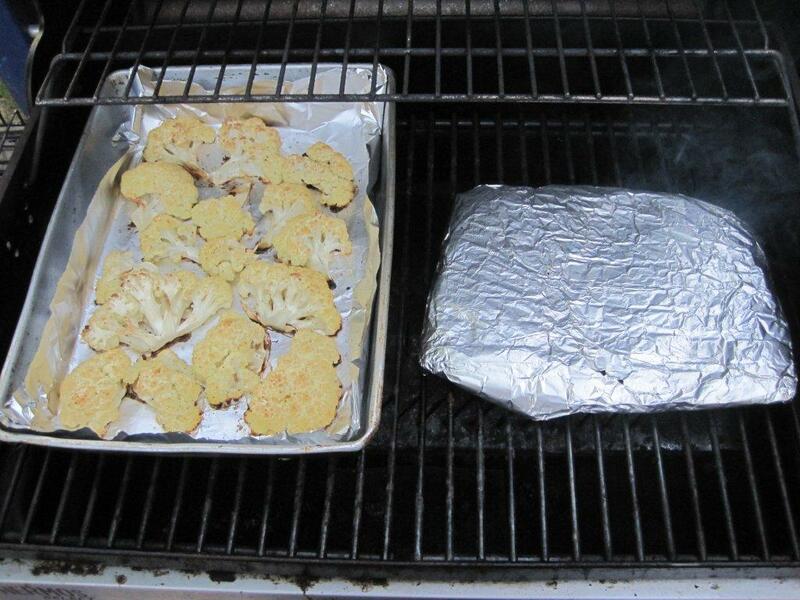 What I actually did was make an aluminum foil packet and cooked it in that instead. Because the kids are highly spice sensitive, I actually used very little of the seasoning blend and dotted the fillets with butter. The result was almost too tender. I think I’ll blacken the Swai next time I grill it and place it directly on the grill. -Ryan.